Well, I’m happy to say that I’m finally doing it! I’m making the big leap into my own business—investing in myself and my brand 100%. I wanted to write this post to walk you through each chapter of my career and to share with you the story of what led me to this moment. As I started writing this post, I realized that this very week marks the 10 year anniversary of when I first started working as an eLearning designer. Oddly enough, it started while I was making a living catching shoplifters. Rewind back to April of 2009, I was working as a Loss Prevention Supervisor for Kohl’s Department Stores when I was offered the unique opportunity to join the Corporate Loss Prevention Training Team in Milwaukee, Wisconsin. At the time, I had been working in the field of loss prevention for nearly six years and was finishing up my undergraduate degree in Criminal Justice. I thought this was my opportunity to become the “corporate loss prevention guy.” I have to thank Sue Yeates and Jessica Summerfield for being the two folks who ended up convincing my soon-to-be boss, Barb Brooks, to take a huge risk on me. 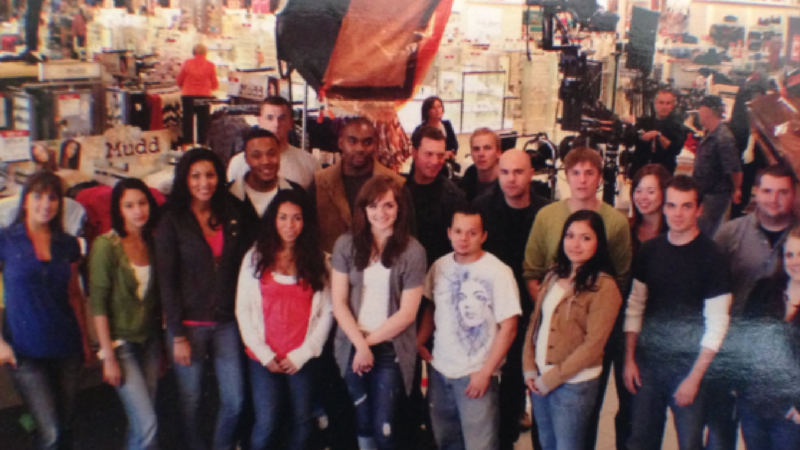 Here I am (on the far right) in 2009 with the actors and film crew in a Kohl’s store, shooting shoplifting scenes for my first eLearning project. During that first year in my new job, everything changed. I helped develop an onboarding program for new loss prevention employees and single-handedly created a series of eLearning courses on how to catch shoplifters. I learned how to use my first eLearning authoring tool (Articulate Studio) and several graphic design tools. I also uncovered hidden talents for presentation design and visual communications. After settling into my first eLearning job at Kohl’s, I quickly realized I was no longer viewed as the “corporate loss prevention guy.” I was now the guy who could “make things look pretty on the screen.” Although I was still working within the Loss Prevention Department, loss prevention was no longer my function—it just happened to be the subject of my work, which was now eLearning and graphic design. It was during this time in my career when I encountered my first “career identity crisis.” I was facing two, very different career paths. I recall many sleepless nights asking myself if I should “stay in my lane” and continue down the path of loss prevention, or should I leap into this exciting new world of eLearning? I chose the latter—I chose to explore the newly uncovered talent and joy I discovered within myself with eLearning and instructional design. In the Fall of 2012, after spending several years growing my skill set as an eLearning designer at Kohl’s, I decided it was time to make my next career leap. 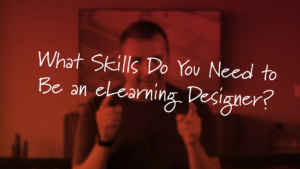 At this point in my career, I wasn’t sure whether or not I’d be successful as an eLearning designer outside of Kohl’s. I remember feeling that Kohl’s retained some sort of twisted, proprietary ownership over my newly discovered talent for eLearning. I felt if I left Kohl’s, I would have to leave behind the talents they helped me develop. Those feelings quickly melted away once I started in my new role as the Senior eLearning Project Manager for the State of Wisconsin, specifically within the Department of Corrections. This new role seemed to fit perfectly with my experience and education. 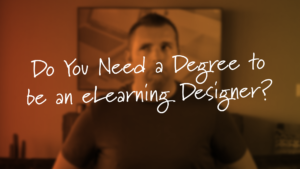 Not only was I a good eLearning designer, but I had also obtained my degree in Criminal Justice just a year prior. However, I have to be honest, this was not an easy transition for me. I quickly learned that working for a state government agency was not the same as working for a multi-billion dollar company. There was a lot of red tape, politics (not corporate politics, but like real politics), and zero funding to do anything. While I enjoyed working with the many folks I met there, like Melanie Sobie, I knew my time there needed to be temporary. While I only spent a little over a year working for the State of Wisconsin, I used that time to start developing my first online portfolio and to start some part-time freelancing during my nights and weekends. Here’s one of the earlier versions of TimSlade.com. One of my very first (and longterm) clients was PetSmart. During this time, I partnered folks like Vanessa Mosher, Antonia Krajicek, and April Kitchen to help them design and develop well over a dozen eLearning courses for their retail and leadership employees. It was through this experience that I learned that I could successfully make extra money as a freelancer. While I felt confident in my abilities, I wasn’t yet ready to be a freelancer fulltime. At this point, I knew I was ready to leave the State of Wisconsin and make another leap; however, I felt stuck. I didn’t want to simply take another eLearning job at another corporate organization. 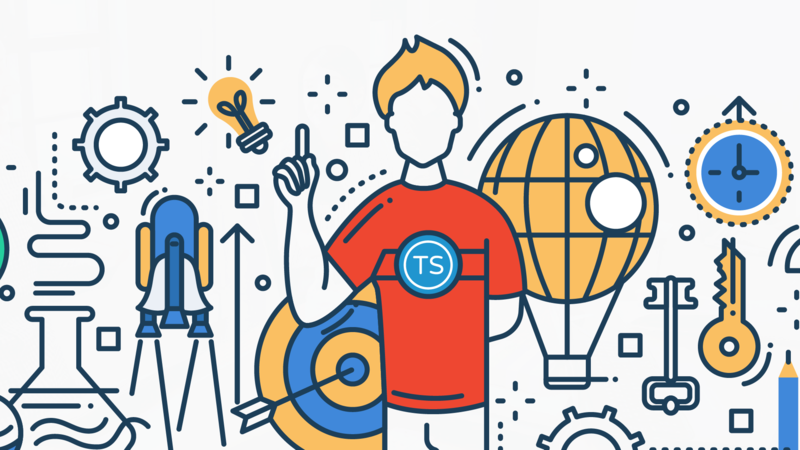 I wanted to actually work within the eLearning industry—I wanted to do something that would enable me to contribute back to the industry that had given me so much. That’s when I stumbled across this post on the Articulate E-Learning Heroes discussion boards. I remember interviewing for the position of E-Learning Authoring Tools Trainer for Artisan E-Learning and E-Learning Uncovered. It was a unique experience, as I literally interviewed with the entire company. At the time, Artisan E-Learning and E-Learning Uncovered were sister companies, operated by a total of four people: Diane Elkins, Desiree Pinder, Nick Elkins, and Tammi Ritter. I was ecstatic when I was hired alongside Tanya Seidel to join this small and growing company. 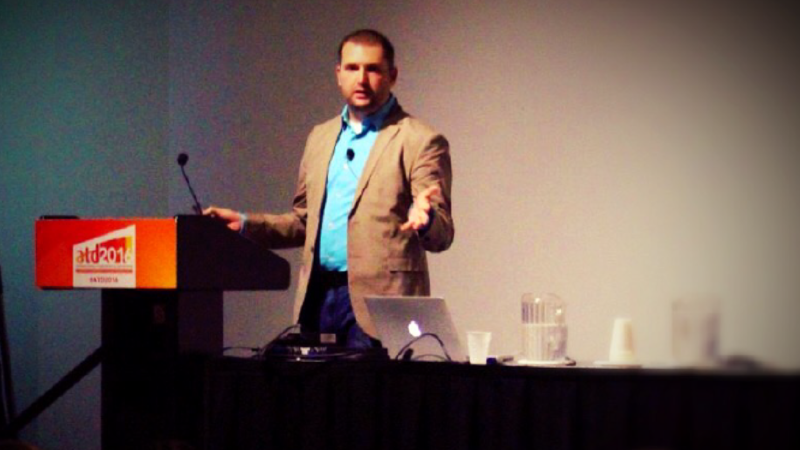 It was my opportunity to work first-hand within the eLearning industry. Here I am speaking at the ATD International Conference & Expo in the Summer of 2016. My time working as the Creative Director for Artisan E-Learning and E-Learning Uncovered brought about a countless number of opportunities and learning experiences that I would have never have had the chance to experience otherwise. It was during this time I learned the ins-and-outs of running a small eLearning business, how to write and self-publish a book, how to manage and market an eLearning blog, how to speak at an eLearning conference, and how to build a brand. 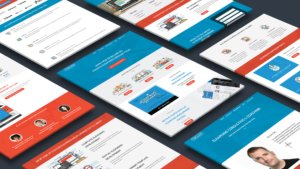 In the nearly three years I spent working for Artisan E-Learning and E-Learning Uncovered, I watched and helped them grow from a company of six people, to a company of 15+ eLearning and instructional design professionals. GoDaddy came along during a time when I was starting to realize that what I was doing as the Creative Director for Artisan E-Learning and E-Learning Uncovered, I really what I wanted to do be doing for myself. I eventually realized that if I ever wanted to make the leap an invest in my own brand, I needed to leave Artisan E-Learning and E-Learning Uncovered. And so I did just that. I joined GoDaddy in the Fall of 2016 as the Senior Manager of eLearning Instructional Design & Development. To be 100% honest, I was a bit nervous about taking this new role for several reasons. First, I was uneasy about going back to the corporate world and the politics that came along with it. And second, I was nervous about managing a team. I had known for many years that I had no interest in managing people, but I knew it was an experience that I would help me in the long run. My first year at GoDaddy was an interesting challenge. 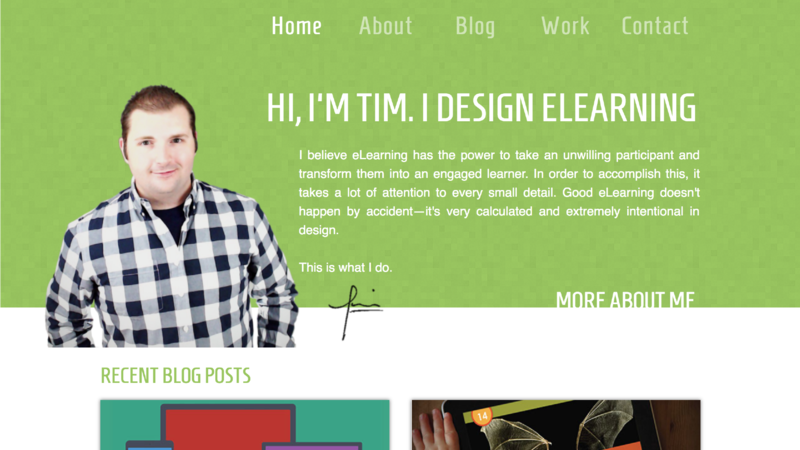 I took over the management of a small, inexperienced team of four eLearning designers. While most of the team didn’t know anything about eLearning design or development, they were all very eager to learn. I saw this as my opportunity to give them the same experience I had when I first started—to help them uncover hidden talents, skills, and interests they never even knew existed within themselves. My intentions and efforts were validated that first year when Matt Larson and I attended DevLearn in the Fall of 2017 and won the DemoFest Award for Best Blended Solution. Matt Larson and I accepting our DemoFest Award. My second year at GoDaddy was a much larger challenge than I had ever anticipated. I was promoted to the Director of Global Instructional Design and my team appeared to double overnight. At the end of it all, I was leading a globally-distributed team of three Instructional Design Managers, three Senior Instructional Designers, three Junior Instructional Designers, and a Senior Learning Technologist. GoDaddy as a company, and us as an instructional design team, was quickly expanding internationally. I was overwhelmed, to say the least. 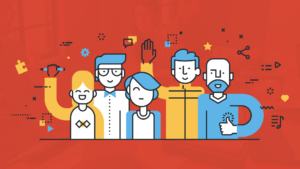 During my last year at GoDaddy, I found myself increasingly torn between my desires to grow my brand during my nights and weekends, and my responsibilities leading the instructional design team during the day. At many points throughout my time at GoDaddy, I overextended myself to achieve several professional goals. In June of 2017, I partnered with Linkedin Learning (formally Lynda.com) to publish my first online course on Rise. And in July of 2018, I published my first book: The eLearning Designer’s Handbook. In addition to all of this, I continued writing for my blog, I maintained several clients on the side, and I continued speaking at several eLearning conferences throughout the year. 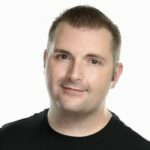 Towards the end of 2018, I started talking with my boss and our Vice President of Learning at GoDaddy, Darren Short, about transitioning out of my role. At this point in my career, I started feeling more and more ready to make the leap into my own business. I wanted to write more books, speak at more conferences, take on additional clients, and do more to grow my own brand. I realized the only way to make that happen was to leave GoDaddy. And just like I had done many times before, I decided to jump into the unknown. The latest design of TimSlade.com, which I launched at the beginning of 2019. Well, my last day at GoDaddy was Friday, April 5th and it’s been a little over a week into my new journey. While I’m still getting settled into my new, full-time job as CEO of TimSlade.com, I feel ready as ever! For me, this moment has been several years in the making. While I wasn’t sure when it would happen, I knew it would eventually come. And as a result, I’ve spent the last decade gaining experiences and preparing myself for this next chapter in my career. I still have a lot that I want to share with you about the new and exciting projects I’ll be working on, but I wanted to start by sharing the story of how I got here. And now you know. Humm..Big Leap , nice Book’s title. Publish the story. Best selling waiting. Great news, Tim! Congratulations!!!! I know first hand from working alongside you at Artisan and also being a consumer of many of your blog posts, courses, and publications, that you are an exceptional leader in your field. I know you will continue to realize great success and inspire others to do the same. Thanks, Sandy! I appreciate it so much! Tim, this is fantastic, way to go! I found you a few short months ago when I was researching for my own blog post on how to use images in online courses. Your blog was so value-packed that I had to subscribe. I’m reading your book because I’m trying to understand the elearning space a bit more, since I do content editing for online courses. And your book has been so helpful! I was very tempted to buy your elearning course last time you had a sale, too! I know it’s tough to take the leap, it’s so cool you did. It was awesome and inspiring to hear your story. How wild that you can start off thinking you’ll be in one career, and it catapults you in a different direction! Best of luck on your journey, I look forward to seeing the stuff you come out with! Thanks for the kind words, Monique! I really appreciate it! Congratulations Tim! It’s good to see these steps lead you to being in charge of your own professional journey. I appreciate how you’ve maintained your accessibility to those of us with questions and needs using your talents and skills you’ve picked up over the years. It really helps those of us continuing on with our life long learning. Thanks, Michael! It’ll certainly be an exciting journey! Thanks for following along with me! Congratulations Tim! I’ve followed you on this ride for a while now, and I’m thrilled that you’re exactly where you want (and were meant) to be. Hope this chapter is your best yet! Thanks, Diana! Long time no talk, BTW! Thanks for reading and commenting! I really appreciate it! I’ve been following your blog for quite a while now. After seeing you present at ATD ICE a few years back, our team started using your books and blog as part of our onboarding program for L&D teammates who are newer to instructional design (see Mike McFarland’s comment above – he’s ours!). This is a big step, but you definitely can do it. Congratulations! Hey Maggie! You have no idea what an honor it is to hear that you use my stuff for onboarding new L&D folks. To hear that totally makes my day! Thank you so much! Congrats on taking the leap! I hope you find it very fulfilling. I am much happier being independent than I ever was working full-time for a single employer. Thanks, Christy! I think I’m going to be much happier on my own! I’m looking forward to it. We met at ATD a few years ago and I’ve been with youever since. I, too, am on my own and it’s great. Helping other entrepreneurs learn and grow is a fantastic way to do business. Hey Sally! I totally remember you from the Storyline workshop at ATD! I hope all is well in your world! Congratulations Tim. Love your eBook, posts, and continuous work in the field. Best of everything on your new chapter in life. Cheers. Thanks, Mat! I appreciate it! Very interesting and inspiring journey. Thank you for sharing. I worked at Kohl’s briefly in 2009 night shift :). Best wishes as you begin a new chapter and decade in elearning. This is the amazing story and thanks for sharing it. I follow you from the time you have been publishing video tutorials on Elearning Uncovered. I personally learned a lot from you. Keep up the good work and good luck on your journey! I’m on this journey and it’s wonderful! I left a major airline and today I work in my instructional design consultancy and I am very happy with the results I have achieved. Congratulations, Tim! What an exciting journey you are on…I can’t wait to hear about what happens next. Keep up all the great work! Keep up the great work Tim! Looking forward to seeing where this takes you!